This season will be bringing many debut roles for Ms. Trainor. The season begins with the role of Benoni in Gounod’s lesser known work, La Reine de Saba with Odyssey Opera followed by the role of Berta in Rossini’s The Barber of Seville directed by Rosetta Cucchi. She makes her debut with Michigan Opera Theatre as Berta in their production of The Barber of Seville directed by Christopher Mattaliano and will be making her debut with Boston Modern Orchestra Project in their performance of Haroun and the Sea of Stories singing the roles Oneeta/Princess/Batcheat. In the spring she will be singing the role of Ofglen in Ruder’s The Handmaid’s Tale directed by Anne Bogart and is excited to learn another Mrs. Peachum, this time in Britten’s, The Beggar’s Opera. The amazing new opera The Nefarious, Immoral But Highly Profitable Enterprise of Mr. Burke & Mr. Hare features music from Julian Grant and a libretto by Mark Campbell. Ms. Trainor created the role of Helen McDougal, Burke’s girlfriend in this wonderful new work based on a true story. Ms. Trainor will also being playing the role of Mrs. Peachum in Kurt Weill’s The Threepenny Opera with Boston Lyric Opera under the direction of James Darrah as well as the role of Jocasta in Stravinsky’s Oedipus Rex with Emmanuel Music. She will also be returning to New Hampshire as the soprano soloist in Beethoven’s Ninth Symphony and Mahler’s Symphony No.2. Ms. Trainor’s debut with Boston Symphony Orchestra as the Milliner in the Strauss favorite Der Rosenkavalier. She joined the Brookline Symphony Orchestra for Isolde’s Liebestod from Wagner’s Tristan und Isolde. Michelle will be returning to the Boston Lyric Opera stage as Marcellina in Mozart’s Le Nozze di Figaro and will be making her debut with Odyssey Opera as Ghita in Zemlinsky’s Der Zwerg. Michelle returned to New Hampshire at First Church where she sang Nicholas White’s Magnificat. She reprised the role of Tosca with La Forza dell’ Opera in Brooklyn, NY and returned to Boston Lyric Opera for their production of The Merry Widow. Michelle took on the challenging role of Brangain in Martin’s The Love Potion to much critical acclaim and she revived her role as Suor Angelica with Metro West Opera where she was nominated for Best Female Performer in an Opera by Arts Impulse. Michelle sang a staged version of Schubert’s early song Hagar’s Lament as well as the Second Lady in Mozart’s The Magic Flute. Her concert work included Beethoven’s Ninth Symphony and Haydn’s Missa inAngustiis. 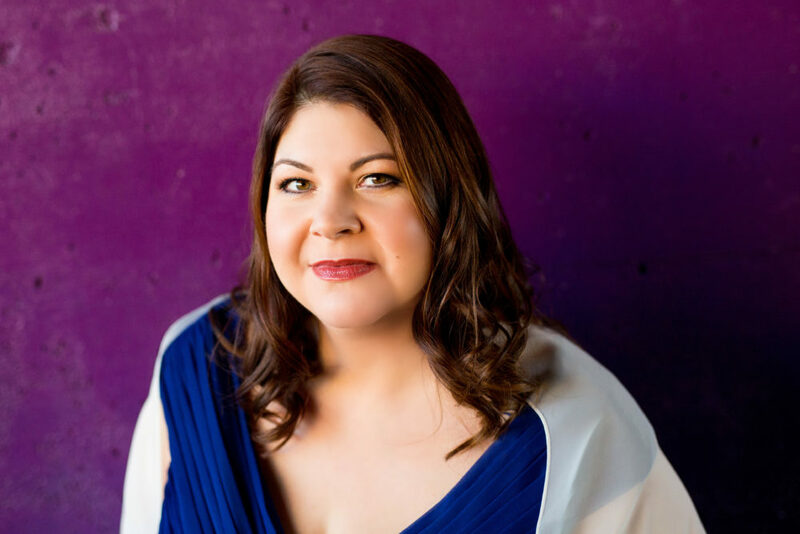 As a Boston Lyric Opera Emerging Artist, she has sung roles in their productions of Hansel and Gretel, Macbeth, The Inspector, The Magic Flute and The Love Potion. Michelle recorded the Schubert’sHagar’s Lament on the BIS label with Boston Lyric Opera and is a frequent performer in the BLO Signature Series at the Museum of Fine Arts, Boston. Winner of Boston Lyric Opera’s Shrestinian Award for Excellence, First Place Winner of the New Jersey Verismo Opera Competition, St.. Botolph Club Grant Winner, First Place Winner of the Peter Elvins’ Competition, First Place Winner of the New England Regional NATSAA, NATSAA National Finalist and Winner of the Berton Coffin Award. Ms. Trainor was a finalist in the Concorso Lirico di Ferdora Barbieri, Career Bridges Grant Award as well as the Rochester Oratorio Society Vocal Competition. Equally at home with concert repertoire, Ms. Trainor has performed works such as Mozart’s Requiem, Mass in C Minor, Solemn Vespers and his Missa Brevis in B Flat as well as Mahler’s Eighth Symphony, Beethoven’s Ninth Symphony, Haydn’s Missa in Angustiis and Vaughan Williams’ A Sea Symphony. Ms. Trainor made her Carnegie Hall debut as a soloist in Mahler’s Eighth Symphony with Canterbury Choral Society. She has performed at Boston’s First Night and has sung works with the Composers in Red Sneakers. She joined the stage of Boston Ballet in their production of A Midsummer Night’s Dream as the soprano soloist.